On 19 July, we’re getting festive with the theme of “Christmas comes early”! Words Out Loud Ballarat looks to the winter solstice for inspiration. 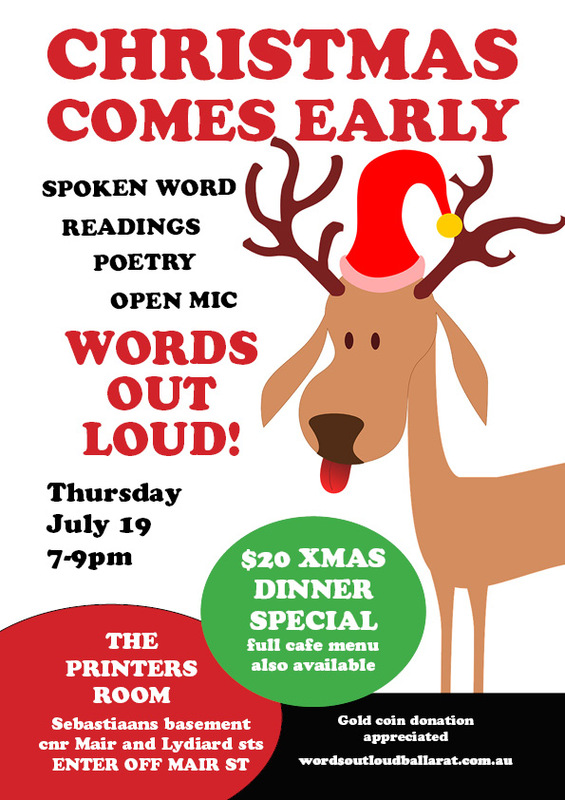 As the longest night falls, poets, writers and storytellers gather to celebrate poetry, prose and good yarns in the warm and welcoming surrounds of The Printers Room.